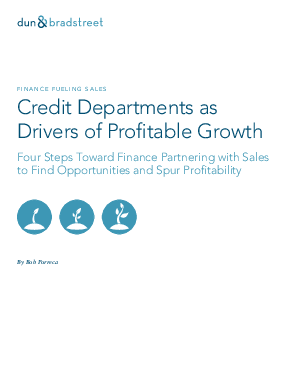 Discover how credit departments can become drivers of growth through sales enablement. In this whitepaper, you’ll learn how credit can partner with sales departments by tapping into technology-driven data inspiration to drive profitable growth. Learn to take advantage of the expanding role of credit and finance in supporting sales and driving business growth today!